Written by Michael Eidman 3 years ago. A tort, is a civil wrong or wrongful act, whether intentional or accidental, from which injury occurs to another. The law of civil wrongs, whether caused by assault, battery, negligent (careless) conduct, medical malpractice, dangerous consumer products, libel or slander is all gathered under the large legal umbrella known as tort law. Generally speaking, if one has been injured by the tortious conduct of another, the injured party is entitled to be compensated for the loss or damages. For many top executives in Corporate America, however both Ralph Nader and basic tort law are villains. Why? Because for Corporate America, the first priority is profits, not safety. What these critics fail to recognize or acknowledge is that personal injury lawsuits and especially large class-action cases, along with the negative publicity they generate, put pressure on big business to enact sorely needed safety measures and improvement. Frequently, litigation, along with the financial toll it can extract, is the only effective mechanism that will persuade big business including manufacturers, real estate empires, the medical establishment and insurance companies, to effect positive changes to safeguard the welfare of the everyday consumer. It is no surprise therefore, that for the past several years, big business, under the pretext of saving jobs and reducing medical malpractice insurance premiums, has placed our civil system of justice squarely within its cross-hairs and has made Tort “Reform” a legislative priority. Effective lobbying by Corporate America, along with the insurance and medical industries, have resulted in numerous anti-consumer measures in many states, including monetary limits on compensation, mandatory arbitration and the loss of trial by jury. But here I want to accentuate the positive, so I will leave Tort “Reform” (or “deform” as we call it), to a future, separate blog. It is beyond dispute that lawsuits, judgments and public exposure can be directly linked to the dramatic reduction in car accident deaths in the last five decades. Warnings on cigarette boxes and the reduction in horrific 3rd degree burns from scalding cups of coffee, can also be attributed to the pressure applied by civil tort cases. Consumer advocate Ralph Nader has dedicated his life to putting corporations on trial for unsafe practices and to forcing changes in business practices that makes us all safer—safer cars, safer work and play environments, safer gadgets and appliances. Despite all the improvements, the fight for product safety remains ongoing. GM, in a scandal involving the illegal concealment of deadly defects in ignition switches, was forced to pay $900 million to the government and $575 million to settle the majority of the civil lawsuits filed by the families of the 124 confirmed killed and the thousands injured. Volkswagen was just caught scamming auto-emissions tests by programming car software to switch to a low-emissions mode only when it detects a test underway. Recently the New York Times ran a three-part series highlighting the havoc that mandatory arbitration clauses, contained in the fine print on many software licenses and service contracts, has been wreaking on our rights. These clauses, with the blessing of the current Supreme Court of the United States, force consumers to submit disputes to privately-retained arbitrators and to forgo having their day in court. Apple and Google have both invoked arbitration clauses to fight lawsuits. If software runs your ‘smart’ car, and causes it to crash, will you be able to file a claim or class-action case in public court? Probably not. Medical providers are also beginning to insist that patients sign such clauses prior to treatment. As a result of legislative inaction, Americans are unwittingly signing away our legal rights to bring claims before a jury in a court of law, as is guaranteed by the Seventh Amendment to the US Constitution. Written by Michael Eidman 5 years ago. Maybe it goes back to Walter Matthau in “The Fortune Cookie”. The doltish William Hurt character in “Body Heat” sure didn’t help. And even the great Paul Newman, first enters the film as an alcoholic lawyer trying to sign up a widow at a wake, before redeeming himself by winning a righteous but difficult medical malpractice case in “The Verdict”. Talk about sleazy! Or it could go all the way back to William Shakespeare, with his “the first thing we do, let’s kill all the lawyers” line. Certainly, the endless cacophony of lawyer ads on TV, radio, the internet, subway cars and urinals must, by now, have reached some sort of tipping point. At least, I hope that it has. Recently, I was in a doctor’s waiting room and noticed that most of the ads on daytime TV began with the phrase “Have you been injured?”. I kept thinking that everyone was looking at me. And my brethren of the plaintiffs’ trial bar wonder why it has become virtually impossible to get a decent, non-jaded jury! I suppose that many jobs and occupations have a disconnect between their public image and their self-image. But as of this writing, I have been a personal injury and medical malpractice lawyer, always for the victim, for over 33 years and for me, that disconnect has become a chasm, a gap as wide as the Grand Canyon. Once in a while, such as when I read a survey and discover that the public rates the trustworthiness of my profession as slightly below politicians and slightly above telemarketers, even I start to believe the bad reviews! Then, it’s time for a reality check. So, in that vein, here is my “Top 10” list, not in any order, of what makes my line of work unique, gratifying and/or worthwhile. 1. WE HELP PEOPLE WHO HAVE SERIOUS PROBLEMS. Every one of my clients has gotten a bad break (literally or figuratively) and needs help. Often, something really terrible has occurred. A cop ticketing a truck was hit by an oncoming car and will never work again. A teen was abused by a priest for 3 years. A misdiagnosis in a local ER causes a healthy 3 week-old baby boy to require round-the-clock care for the rest of his life. A nurse’s heel was shattered into bits and pieces when she stepped off of an unmarked display platform at a high-end Manhattan store. Monetary compensation, usually paid by an insurance company but only after difficult and emotional years of litigation, will make the lives of these clients no less painful but much more manageable and less financially challenging. 2. WE ONLY GET PAID IF WE ARE SUCCESSFUL. Personal injury lawyers are paid via contingent fee retainers. That means that we receive a portion of the settlement or judgment that is paid. For standard personal injury cases, it is generally 1/3 of the recovery after reimbursement of case expenses. Sometimes it is less. For medical malpractice cases in New York, the fee is substantially less and depends upon the amount of the recovery. Put another way, I get paid only if and when I recover money for my client. It also means that I must wait until the very end of the case in order to get paid (which can take years) and after laying out what can be substantial amounts for case expenses (see no. 5). The personal injury lawyer is always concerned with cash flow and must plan and project several years ahead of time. 3. NO TRIAL LAWYER WINS THEM ALL. If a case is unsuccessful for any reason, I am not paid at all, no matter how much time I have spent on the case. That is true even if the case was won at trial but then lost on appeal. If a case has gone all the way through trial, we’re talking about hundreds of hours down the tubes (plus expenses). By the way, I should not have written “If a case is not successful”, I should have written “When”. Any lawyer who says that he has not lost a case, is not an experienced trial lawyer. The insurance, business and medical communities have vast resources at their disposals and have no difficulty in retaining top-notch legal talent and experts. They win their share of cases. Every one of our cases is a bit of a gamble. Currently, injury victims lose about half of the general personal injury trials that go all the way to a jury verdict, while medical malpractice trials result in losing verdicts at least 70% of the time. Bottom line: no recovery for client, no fee for lawyer. 4. THE PLAINTIFF’S TRIAL LAWYER AND THE CLIENT ARE “PARTNERS”. Because of the contingent fee arrangement, we, unlike lawyers in most other areas of practice, have a mutuality of interest with our clients. Most lawyers get paid on a “per hour” basis. The more time they put into a case, the more they will earn. This arrangement does not always benefit the client. Some lawyers get paid on a “flat fee” basis. For some, that could serve as a disincentive to work as diligently as necessary or to put in the hours needed to best represent the client. Under the contingent fee arrangement, the better the client does, the more the lawyer earns. The lawyer has an incentive to achieve the best possible result. And since the lawyer does not earn anything until a recovery is obtained for the client, he has an incentive to finish the case. There is an inherent unity of interest built into our relationship, instead of an underlying conflict of interest. 5. A TRIAL LAWYER GENERALLY ADVANCES THE CASE EXPENSES. Personal injury litigation, like other forms of litigation, requires significant expenditures in order to support and finance each case. Funds must be advanced for medical records, expert reports, deposition transcripts, court filing fees, expert testimony and a host of other expenses. Should a case go trial, these disbursements typically run into the tens of thousands of dollars and are beyond the means of most individuals. In the vast majority of cases, these expenses are advanced by the lawyer, in the belief that they will be reimbursed at the end of the case, out of the settlement. It is also understood that should the case go south, it is not likely that the funds will be reimbursed to the lawyer by the client. Many personal injury lawyers rely on interest bearing lines of credit from banks, at their own risk, in order to fund case disbursements. 6. A POOR CLIENT CAN AFFORD THE SAME HIGH QUALITY OF REPRESENTATION AS A RICH CLIENT. Because the client does not pay a fee until the settlement comes in and because the fee is based upon a standardized percentage, an impoverished client can afford the same high level of representation as a wealthy client. All the client needs is a worthy case. Consequently, the contingent fee system helps to level the playing field between the unlimited resources of an insurance company and an ordinary person. Brilliant and nationally-recognized trial lawyers represent poor people every single day. I feel safe in asserting that the cream of the matrimonial and criminal bar, amongst other specialties, cannot make the same statement. It is not their fault; it is just that the system of paying lawyers in the United States discourages or makes it virtually impossible for premier lawyers in those fields to take on clients who cannot pay steep hourly fees during a protracted litigation. The contingent fee system that governs personal injury litigation, truly puts the pauper on equal footing with the prince. 7. THIS SYSTEM FILTERS OUT BAD CASES. Because the personal injury lawyer will not be paid unless the case is successful, she has a disincentive to accept a frivolous or even a weak case. It is simply too financially risky. Why litigate a case for four years, advance thousands of dollars in expenses and expend countless hours on a matter that will not eventually earn a fee? After all, it is a business! 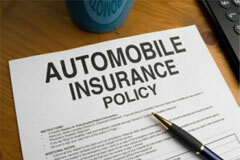 The contingent fee arrangement helps keep bad cases out of the system. 8. WE HAVE TO KNOW A LOT OF STUFF. A personal injury lawyer must develop a host of interdisciplinary skills. We are writers, orators, investigators, amateur physicians, pharmacists, physical therapists, social workers, psychologists, mechanics, biomechanical engineers and economists (sometimes all during the course of the same case). If you believe that this statement contains even an ounce of hyperbole, just ask me about my former client Chris and his case. Or try imagining cross-examining a board-certified oncologist without a good working knowledge of cell division, doubling time theory and chemotherapy. 9. SOCIETY BENEFITS FROM OUR WORK. Trial lawyers hold corporations, insurance companies, drug companies, manufacturers, builders, landlords, hospitals and other powerful institutions accountable. As a result, we promote positive changes in society. 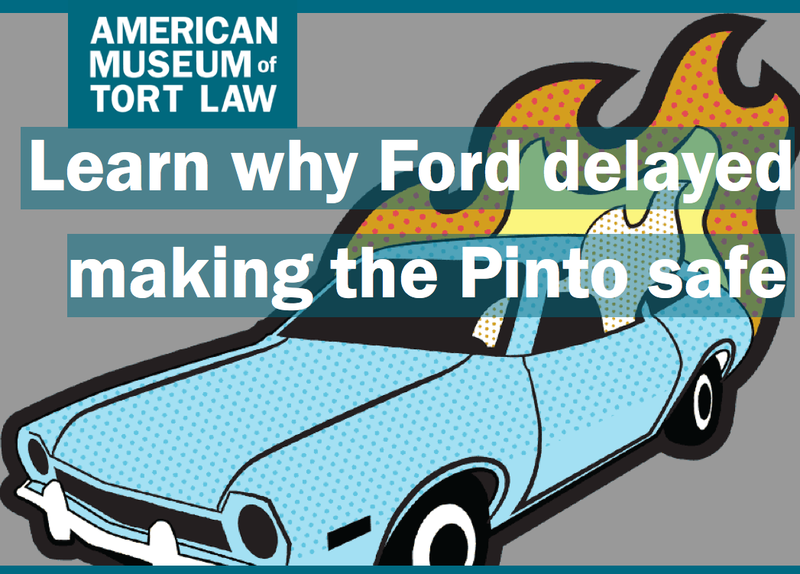 Personal injury litigation exposed the dangers of the Ford Pinto’s exploding gas tank. Dangerous drugs such as Vioxx would still be reaping millions of dollars in corporate profits at the expense of patient lives, if not for the deluge of lawsuits that brought Merck to its financial knees. The NFL and its helmet manufacturers continued to fudge medical data and to deny the connection between football and brain trauma, until trial lawyers made it no longer possible for them to do so. Consumer products, the workplace and the environment have all been made far safer as a result of litigation, which has proved far more effective than legislation in encouraging corporate America to do the right thing. 10. HOPEFULLY, OUR CLIENTS OBTAIN REASONABLE COMPENSATION, BUT THEY ARE NEVER “WINNERS”. Although I aim to obtain “reasonable compensation” for each and every client, there is simply no such thing as “adequate compensation” for a very serious injury. During a closing argument, I once told the jury the true story about how casino mogul Steve Wynn, due to a severe eye condition, tore a big hole through a valuable painting, while showing it to a potential buyer. The hole was repaired without a trace but the value of the picture was reduced from $120 million to $50 million. When dealing with property, in this case, mere canvas and oil, we have no qualms about assigning seemingly arbitrary values to inanimate objects. Thus, I have no doubt that under the right circumstances, a jury, after hearing expert testimony, would not be squeamish about coming in with a $70 million judgment had the value of this diminished masterpiece been presented to a jury for determination. Yet, when dealing with flesh and blood, bone and tendon, pain and sorrow, life and death, too many people confuse justice with vulgarity. I have been in the business for over 33 years; I am still waiting to meet my first client who would not trade his settlement, however generous, for her pre-injury state of good health. Written by admin 6 years ago. Most responsible citizens purchase enough insurance to adequately protect potential accident victims and to give themselves peace of mind that their own assets will never be put into jeopardy as a result of an accident. Many, however, do not carry sufficient Uninsured Motorist coverage that would potentially protect themselves and their family in the event that one of them was injured by an uninsured, stolen or hit-and-run vehicle. 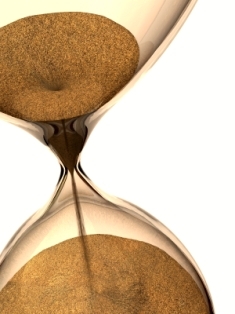 The statute of limitations is the deadline by which someone must file a lawsuit or forever lose his or her right to sue. In New York, the time for an adult to sue for medical malpractice expires two years and six months after the malpractice took place. 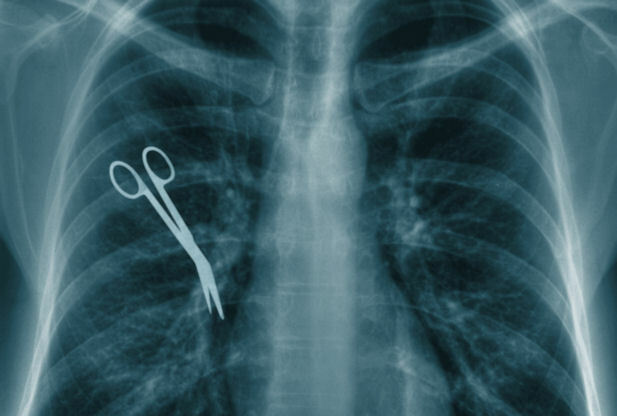 If the malpractice took place in a City-owned hospital, the deadline is only 15 months from the malpractice. By contrast, the statute of limitations for contract lawsuits is six years and for property damages is three years. To make matters much worse, sometimes the New York medical malpractice statute of limitations runs out before the victim even knows that she has been a victim of malpractice. In which case, the victim is out of luck. A recent study by Johns Hopkins University, and reported by the Wall Street Journal, ABC News, Fox News and others, found that certain medical errors, known as “never events” are still occurring over 4,000 times per year.